World of Coffee, Inc. is a family-owned custom specialty coffee roaster located in Stirling, New Jersey. 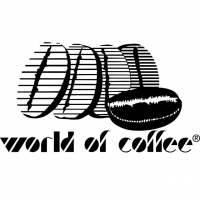 World of Coffee specializes in premium, high-end, great tasting, gourmet coffees, private label packing, licensed products, and foodservice. The company is a small batch roaster offering Jack Daniel’s Tennessee Whiskey Coffee as well as house brands World of Coffee and Òggi Caffè. World of Coffee is a longstanding member of the Specialty Food Association, Specialty Coffee Association, and is certified Kosher by OK Kosher for all of its products, including Jack Daniel’s Tennessee Whiskey Coffee. The Jack Daniel’s Tennessee Whiskey brand name and trademark are used under license from Jack Daniel’s Properties, Inc., with exclusive use for coffee.